Monthly MUST Haves is a monthly recap on things that have caught my attention, or that I have fallen in love with, over the last month. A fun way for me to share random things that make me happy, in hopes that they might bring you joy as well! 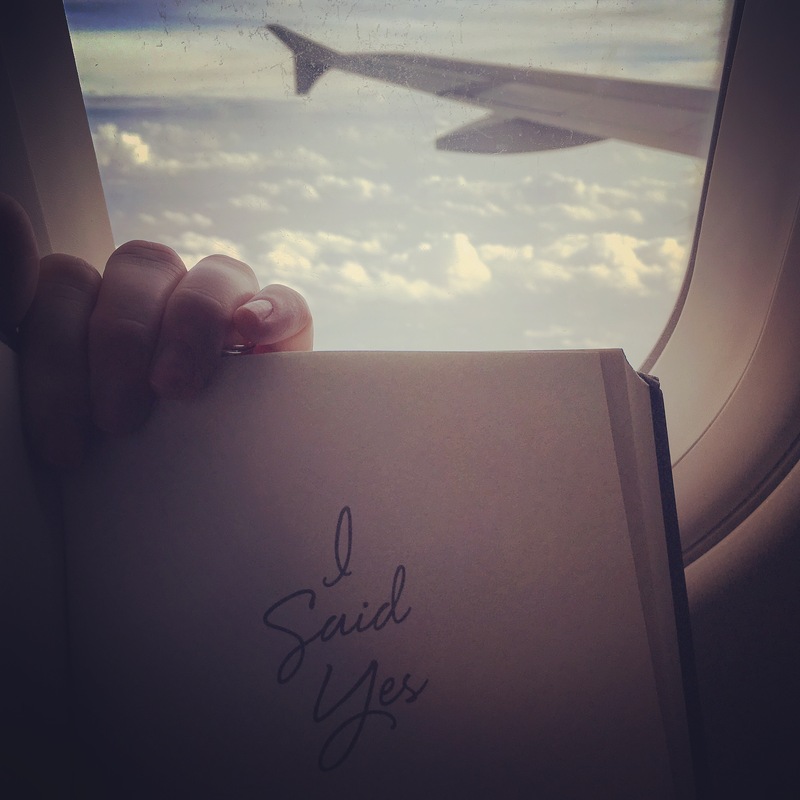 I Said Yes – Emily Maynard Johnson: Go grab this book and fall in love like I did! Honestly, I couldn’t put it down. It is the perfect airplane read… I started reading this book at take-off and finished it four hours later at landing. “I Said Yes” is the true story of Emily’s emotional journey through the ups and downs, and how she found her faith in the Lord along the way. It is a great read and if you are a fan of any of the Bachelor/Bachelorette TV shows, like I am, you will enjoy the fun insights. Congrats Emily Maynard Johnson on a beautiful book. Click HERE. OPI – Cajun Shrimp: OPI’s new Cajun Shrimp nail polish is my absolute MUST in nail color. It is a vivacious mix between pink, red and orange and I can’t get enough of it. It is the perfect color for this spring season. Being apart of the long lasting OPI nail polish brand, it can withstand my mommy-hood lifestyle and doesn’t chip. This beautiful nail color is found in the OPI Beach Party Collection and believe me, it will make you want to start packing for a beach getaway! Click HERE. Re-Play – Multi Colored Feeding Sets: Going along with the springy-touches of March, I am loving all of the colorful Re-Play feeding sets. Re-Play offers the brightest colored feeding items coupled with maximum durability. Because the products are made out of recycled milk jugs they are safe and can be recycled again. 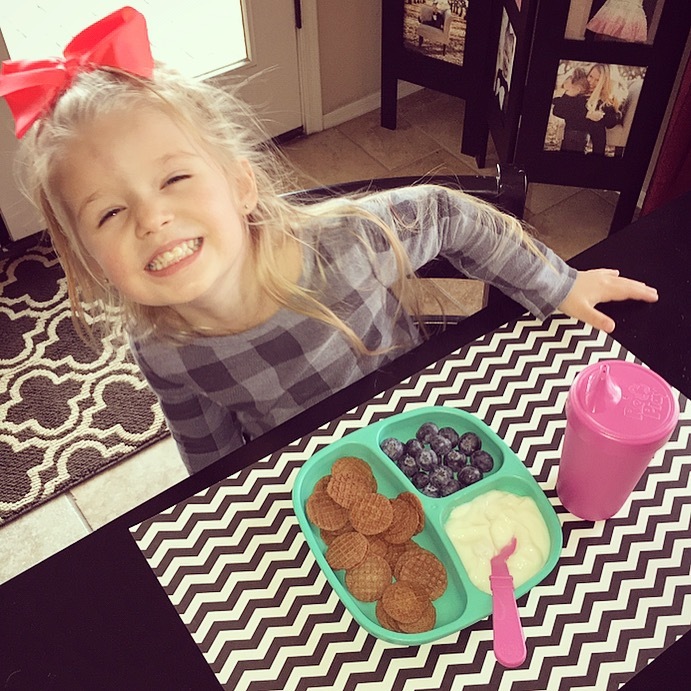 Re-Play offers plates, bowls, tumblers, sippy cups, snack stackers and so much more. My girly-girl’s love the “Sparkle” bundle set filled with bright pink, aqua and purple. I am just happy that there are products my picky eaters and I both can agree on. Click HERE. … And to read up on my full Re-Play Recycle Review Post – Click HERE. 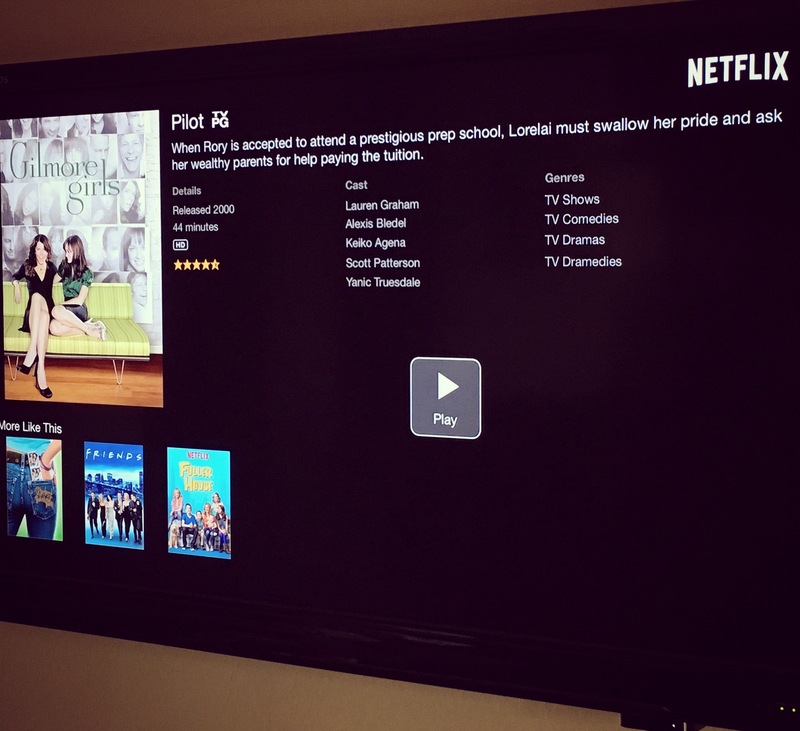 Gilmore Girls – on Netflix: I have fallen in love with this quirky, mother daughter duo TV show called Gilmore Girls. I know I am a little late to the party, but thanks to Netflix I haven’t missed a beat. It is a happy show that makes my mommy break uplifting and refreshing. Whenever I have a few minutes I jump in, right where I left off, and I am whisked away to their fun relationships and life in their quaint little town. I am only one season in, but I am taking my time, I never want it to end. If you too missed the boat and never watched this show, check it out because I think you will enjoy it! QUESTION : Is there anything you have fallen in love with recently?… Something you think I need to try and potentially add to next month’s Monthly MUST Haves?… Let me know! Thanks. This post contains affiliate links. That polish color is so pretty! Hi Becky, Thank you for stopping by! 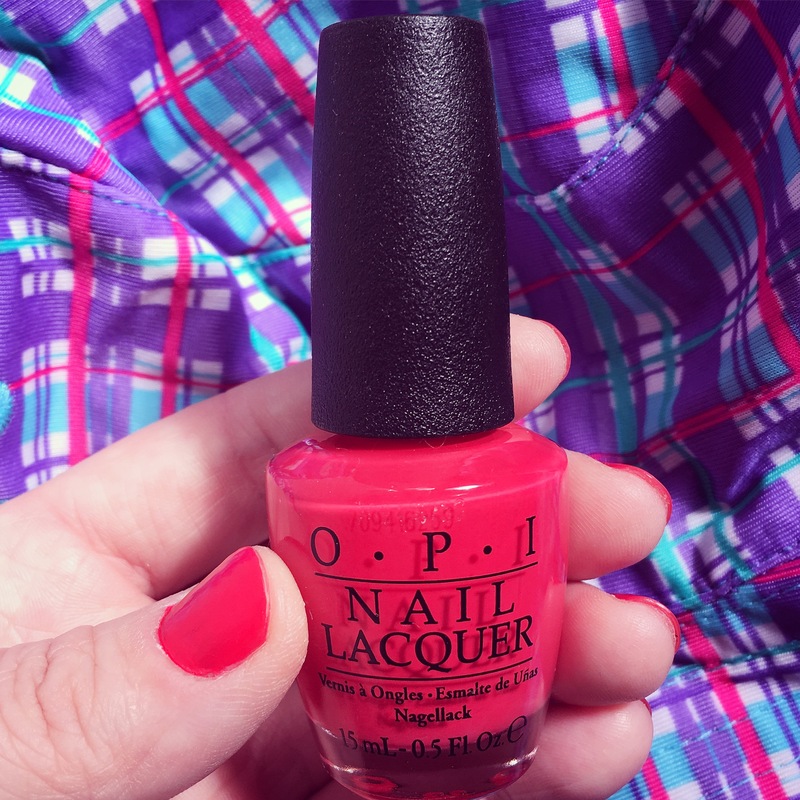 I am glad you love this OPI nail polish, it is definitely bright and cheery!